So I failed my MOT for fuel tank filler neck leak. 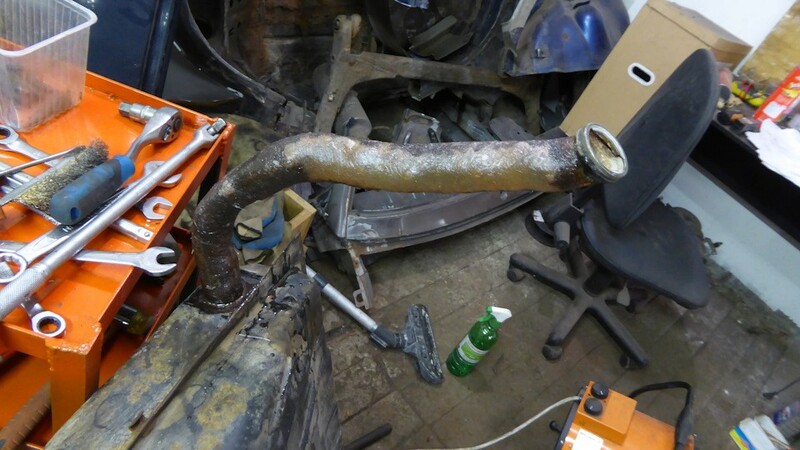 The very thin overflow pipe tube had become disconnected, leading to fuel smell and some loss around corners. Sorted that with silicone hose. The POR15 had flaked off around where I had squeezed it in between bodywork and rear axle mount. Must have scratched it. Rusty under the film of epoxy paint. Scraped it clean with wire brush and steel wire. Now covered in BiltHamber deox gel and clingfilm. Got some Granville Petro Putty to cover the leaky hole. BUT I CAN'T SEE ONE. Might shine a torch down from the filler cap (not a lit match flame as a helpful neighbour suggested!). It's probably tiny, like a pin hole. Coat the area in dust and pour some fuel down the filler or lower the side of the car to make some fuel go to the filler side depending on where you think the hole is. If it's where the rear axle bracket is then I'd bite the bullet and replace the tank personally. Fuel just likes to leak once it's found a route. That worked thanks. Bit of self-raising flour. Bit of self-lowering car jack and bingo a tiny pinprick leak on side of tube facing rear wheel (stone imapct?). Raised offside corner again. Kneaded the epoxy petro putty, cleaned the pipe of flour, stuck the putty on. Let it cure for 3 hours. Lowered, no trace of fuel. Raised again. Painted filler neck with two coats of stone chip. All that up and down and I managed to balance it with only front wheels on the ground (getting nearer a hedge each lift) so I tightened the wheel bearing nut (split pin and crown job) that was also an MOT fail point - not as serious as the tank obviously. My fuel filler was in a very sad state. And since jokes with gasoline are bad, and there were about half of it in the tank, I restored the pipe with epoxy and fiberglass. That's what I got. Light spots are the absence of metal. Hows that stuff stand up to petrol? Good work. I did mine while still in the car. Russian winter means lots of road salt. From your picture I should check the opposite side of the neck to the rear wheel also. The scuttle cover (over battery wipers and heater) looks waterproof. It was a temporary solution. This is a piece of building insulation. I'll put your build thread into Google translate for more recent info. Your English is better than my Russian. 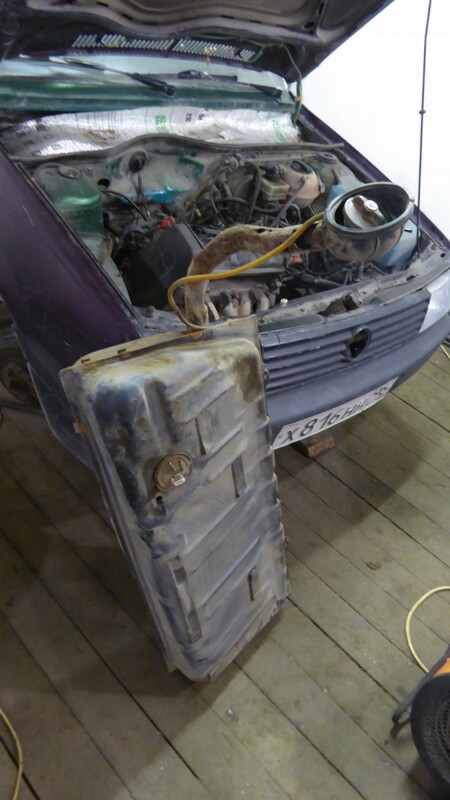 I also took the chance to bend the neck forwards as it was not central behind filler cap. Hope I have not overdone the correction. Now using some 45mm filler neck hose - see if that will last until better weather. and tank is back in the car with stainless clips holding that tube. Getting the rubber boot on the filler neck when it is free to move is so difficult. Softened the boot in boiling water several times but it cools and hardens then won't slide over. Finally took the kettle out to the car on an extension lead. Tomorrow - reattach the thin breather tubes, smear the clips in grease ... put petrol in the tank. why didnt you invest in a new tank? No time to prep and paint it. Also only £15 for tube and clips versus £60.50 for new tank. The flexi tube means filler neck is finally central in tank flap hole after 9 years. It is (9 year old ) 42l that replaced a 36l tank and needed a little surgery. Only the tube corner was pinholed. Only kept 5 litres from draining the tank. Had to tighten the bottom clip quite a lot to stop a tiny drip. Sprayed the clip bolts in white lithium grease which has hardened. The thin breather connector tube split. Think I need 5mm diameter not 3mm. Could not get it to start. Pump ran then stopped so I assume both carbs had fuel. Fuel is maybe 12weeks old. Doubt it is stale. Suspect there's just not enough in the tank as the fuel gauge does not budge. Don't think float is stuck. It would fire on Cold Start spray. Could tilt the car, buy more fuel (I drained 14 litres with gauge near bottom of reserve), check whether the emulsion tubes are wet with fuel. Wonder if rusty tank neck bits have clogged a line or the filter? 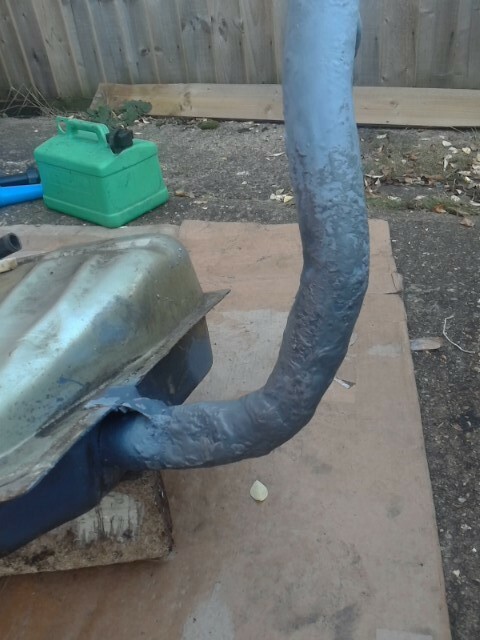 I have welded a new section into the bottom of a spare tank and using some hose up to the filler neck where the breather pipe comes out of pipe. I am hoping that I will be able to fix the filler neck end along with the rubber boot to the bodywork somehow. So it's still a work in progress and it may never work out. 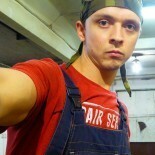 always worried about welding a tank. A mate suggested filling it with sand or exhaust fumes. Found a petrol receipt from 3rd October so the petrol may be stale, yet it was in airtight container. But found the engine coolant preheater has broke. Neither heating nor pumping. That won't help cold starts. Found the time to get it running again finally. It was the carb, needed 12! squirts of Tetrosyl CarPlan Carb Cleaner. One for each jet orifice. Especially the independent starter circuit air feeds under the jet covers.. Think the evaporated fuel had formed varnish. That, or it was simply so much warmer today 16c that starting was easier. Still took several attempts. I'll see how well it does on a cold morning.